Almost two months in business now, Tandoor Grill has trail-blazed the Ipoh F&B scene & setting wagging tongues on fire; appeasing the ever-demanding appetites for a taste of real North Indian cuisine. 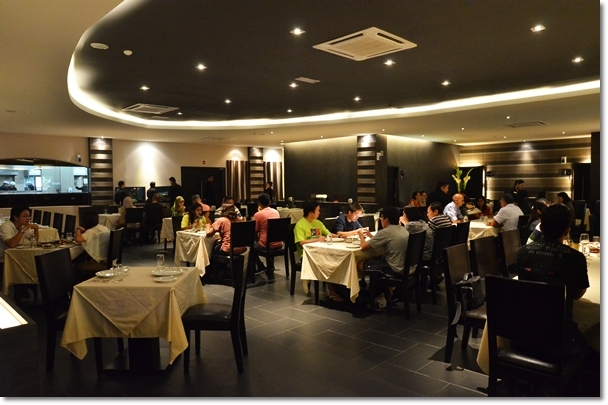 The restaurant occupies the spacious lot in Greentown, Ipoh; directly opposite of MP Steamboat. One thing I can attest to, aside from the delicious spread of North Indian cuisine is that the ambience at Tandoor Grill was a startling contrast to what I imagined it would be from the external facade. In a very positive way, I might add. 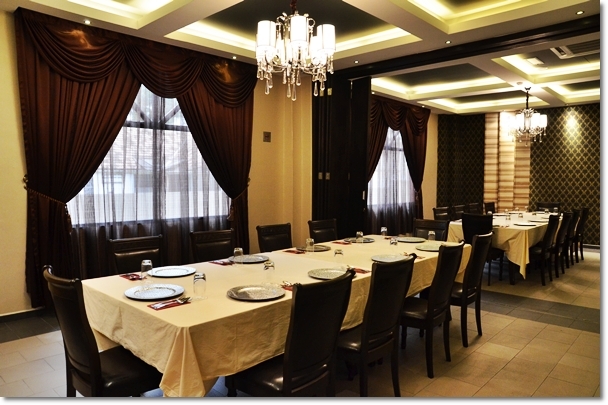 Especially the design of the private dining rooms, and the overall elegance of the dining environment. 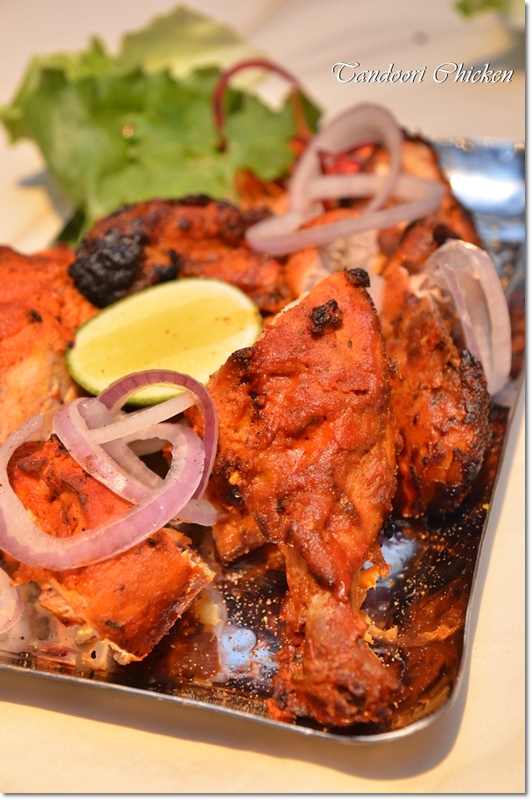 Read on to discover more about Tandoor Grill …. A spacious dining hall that can easily seat up to a hundred guests, plus exquisitely-designed private dining rooms circling the perimeter of the main dining hall. 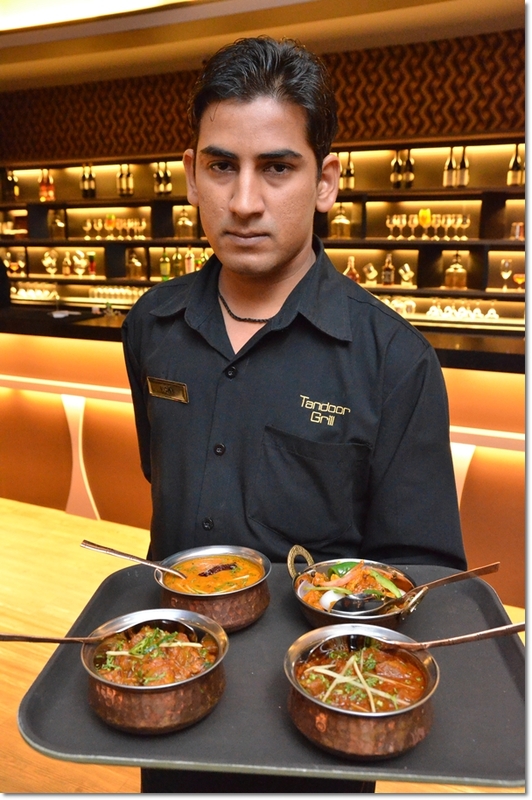 Tandoor Grill features a very extensive list of beverages, topping off the selection with a healthy range of wines; the first and only Indian restaurant in Ipoh to pair off their spicy & rich North Indian cuisine with imported liquor. We were ushered into the vast dining hall brimming with contemporary concepts; subtle tones of grey, beige and whites with dining tables draped with tablecloths of light peach-beige hues. There was nary a round dining table in sight; breaking conventional wisdom of communal dining style usually associated with Asian diners, yet the setting suited us just fine. 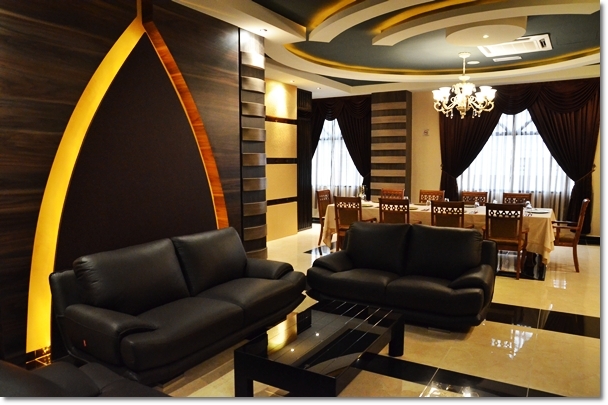 After all, “Classic with a Modern Twist” IS their motto. We started off by munching on papadom crackers dipped in mint chutney; while sipping on a few of their signature drinks. The Mango Lassi (RM6.50/USD2.20) has become a perennial favourite of Malaysians, apparently. A classic Indian yoghurt drink that seeming promotes digestion after a heavy meal, plus quelling that fiery sensation in the stomach after one too many curries, nowadays lassi drinks are everywhere, literally. 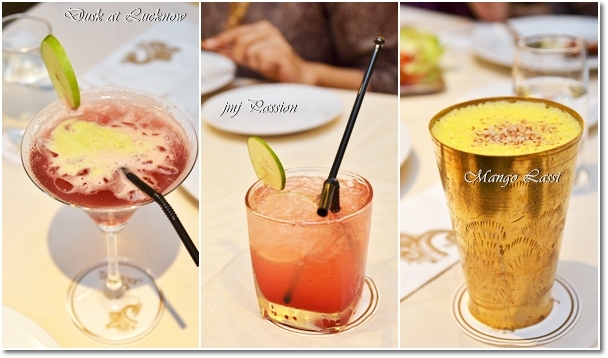 JMJ Passion (RM10/USD3.30) was a refreshing, non-alcoholic drink combining strawberry syrup, lime juice and ginger ale, while Dusk at Lucknow (RM12/USD4) features grenadine syrup + apple, grape & lemon juice. Wondering what does JMJ stand for? The initials of the siblings running the restaurant together with their parents. 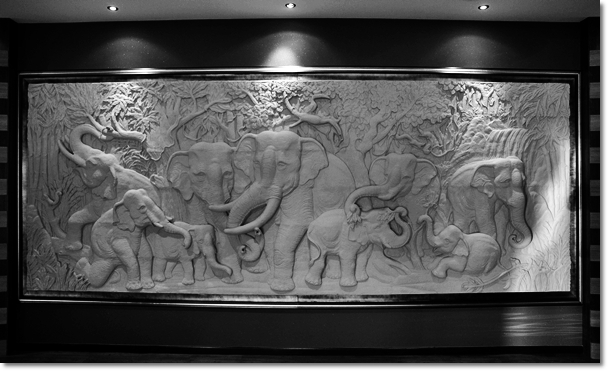 You will bound to bump into one or some, if not all of them when you’re dining there. 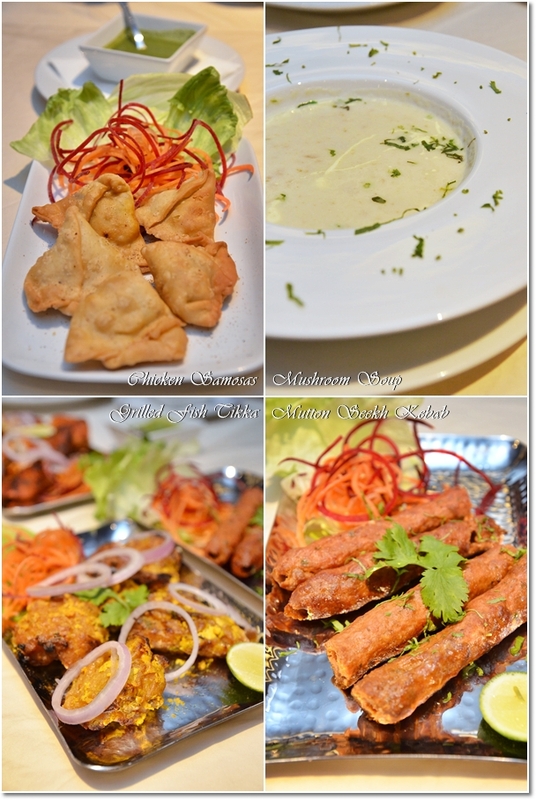 We sampled four appetizers; namely Chicken Samosas (RM10.90/USD3.60) served with mint chutney, Cream of Mushroom Soup (RM9.50/USD3.20) with a dash of herbs, Grill Fish Tikka (RM18.90/USD6.30) featuring patties of grilled boneless fish marinated with ginger, garlic, coriander, lemon juice and spices and Mutton Seekh Kebab (RM19.90/USD6.60), grilled skewered minced mutton with herbs and spices. I personally enjoyed the Mutton Kebab the most; with a robust flavour of the mutton complemented well by the mix of herbs and spices while still retaining the moisture in spite of the grilling process in the charcoal tandoor. The Tandoori chicken served with the same mint chutney and mix raita (RM6.00/USD2); a cooling combination of yoghurt, cucumber and onions was definitely a cut above the rest. Tender chunks of meat marinated overnight to ensure the aroma and flavours seeped in before roasting the chicken over burning charcoal placed in a traditional tandoor pot. 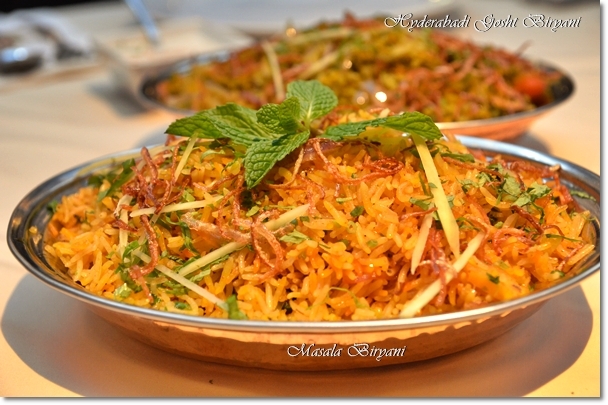 Two types of Biryani were sampled that afternoon; the plain Masala Biryani with spices and Hyderabadi Gosht Biryani. Quality Basmati rice was used to cook the Biryani dishes, the grains separated and permeated with the spices providing excellent texture & flavours. While the Masala Biryani needs accompaniments, the Hyderabadi Biryani with mutton cubes was good as an individual meal on its own. 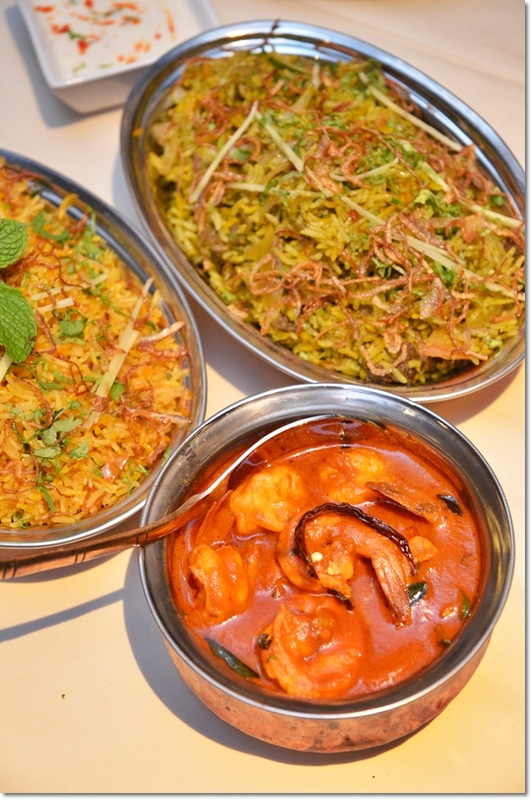 Prawn Vindaloo (RM30.90/USD10.30) – De-shelled prawns with potatoes in a spicy gravy with vinegar and spices. The mains came in succession. Go for the Paneer Kulcha Naan – leavened bread stuffed with cottage cheese and spices then baked in tandoor clay, if you’re not keen on having rice. The Methi Fish; boneless cuts of dory cooked in a fenugreek base gravy that was creamy and very mild compared to the other curries. The Kadhai Chicken featured boneless chicken cooked Lahori style in a slow fire with tomatoes, onions, capsicum & spices was flawless as well. Palak Paneer (Pureed spinach with cottage cheese and cream) has always been a staple choice of mine when dining in North Indian restaurants, though Tandoor Grill’s version had blocks of cottage cheese instead of melted ones. Though here’s a word of caution; some of the curries can be a tad too fiery for the tastebuds. There were customers requesting for additional ‘fire’ so to speak, according to the owners. 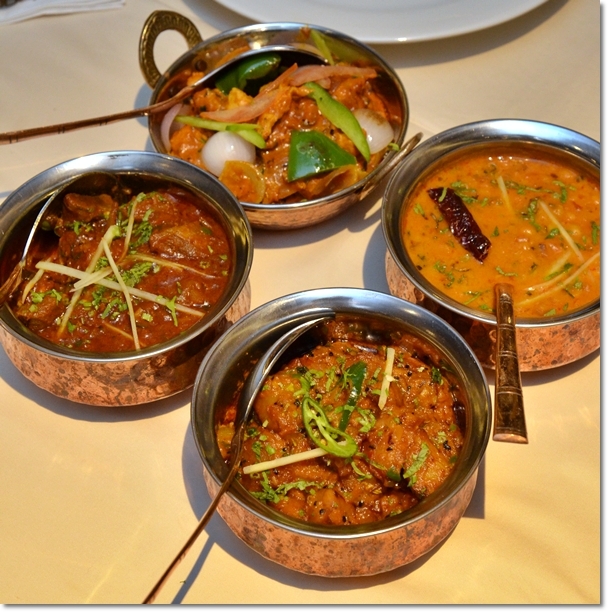 But since North Indian cuisine is generally milder compared to its Southern counterpart, it’s best that you clarify on your preferred level of heat when you order. We went on a tour around the restaurant after the mains, before desserts were served. The pace was starting to pick up with families coming in droves way past lunch hour. It was a Sunday, hence late lunch was an understatement. The Bar where you can see two baristas mixing your cocktails in front of you. 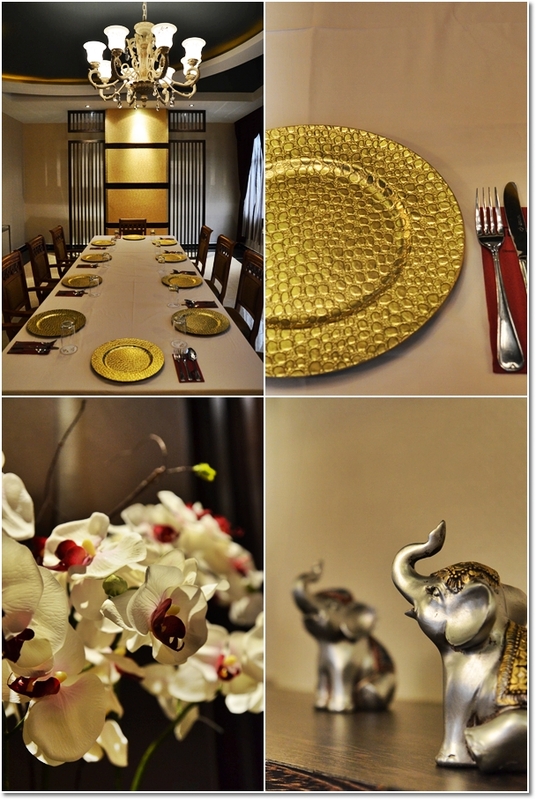 The beauty of dining at Tandoor Grill is that, the minimum spend that qualifies you to reserve a private dining room is very, very reasonable. 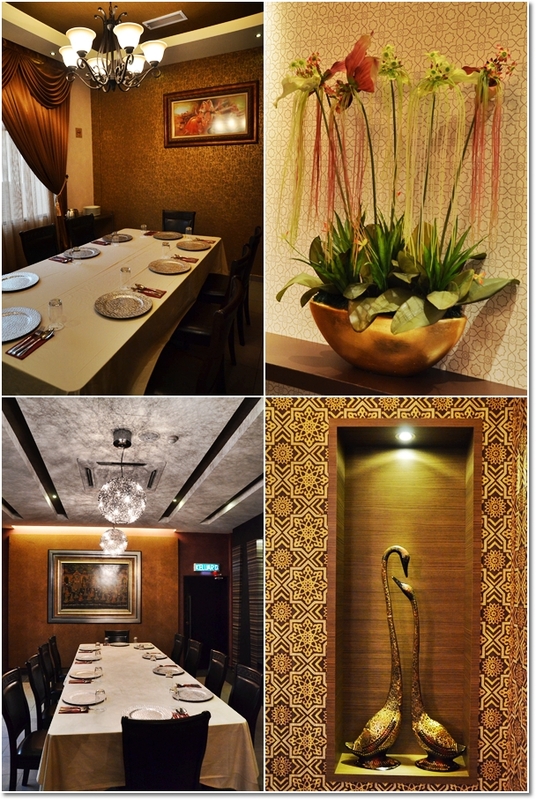 They have 8 private rooms named after spices (think Cinnamon, Cardamom, Saffron) with variable capacities; from a small room that fits 8 pax, up to two conjoint rooms to fit 20 pax, and the largest suite that can be used for a function of 30-40 pax with bathrooms attached. Especially useful if you intend to please guests, customers or private moments with your loved ones. 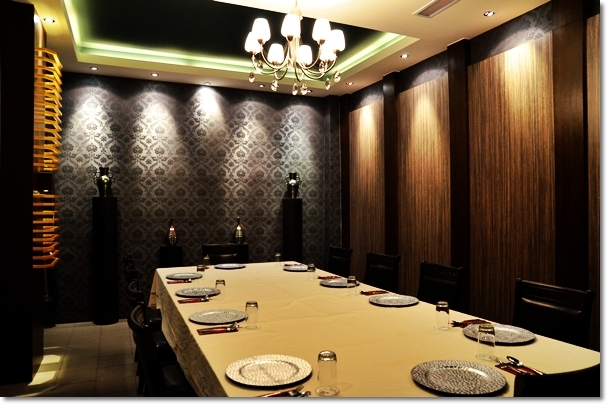 All of the private dining rooms are designed to exude a very distinctive aura that separates them from one another. Based on a theme of grace and elegance, the wallpapers, ornaments and even dining wares are painstakingly matched and even imported! 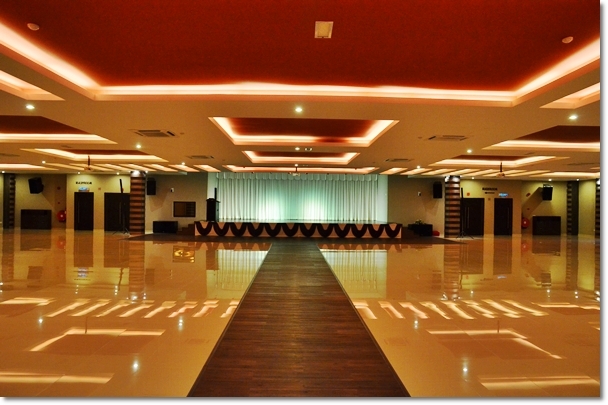 The Cinnamon Ballroom upstairs can fit up to 800 pax; and available for rent with the catering services from their kitchen as well. Desserts! 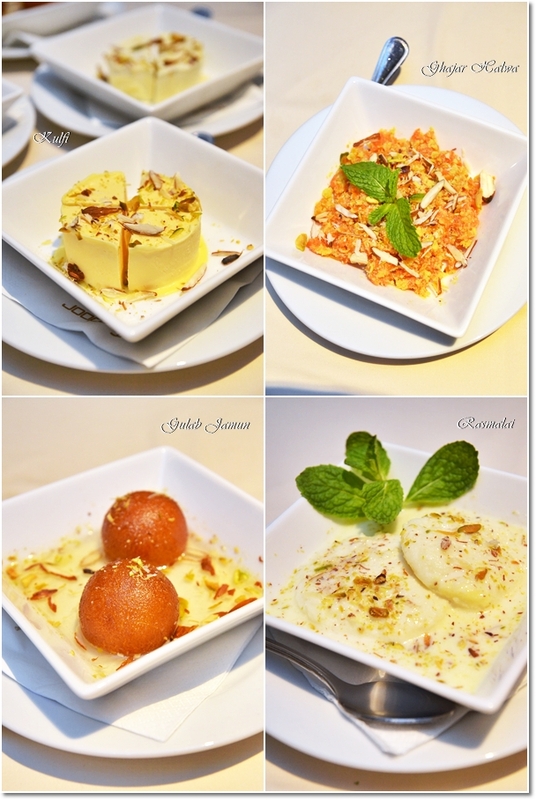 Good thing to note is that the desserts at Tandoor Grill are not made to be cloyingly sweet or extremely rich. Both the Mango Kulfi (RM8.90/USD3) and Badami Kulfi (RM8.90/USD3); loosely translated as Indian ice-cream were excellent. The mango one was as expected; sweet with a tarty finish while the almond kulfi was a creamy version with a cleaner taste (some might call this bland, but it’s not). The Ghajar Halwa (RM6.90/USD2.30); a pudding made of carrot and milk was warmed before served and sprinkled with almond flakes. The Gulab Jamun (RM5.90/USD2); the Achilles heel of classic Indian desserts was proven to be a slightly different version here. A softer, mushy texture and a (thankfully) less sweet confection compared to common ones in South Indian outlets. Rasmalai (RM7.90/USD3.60) was an entirely new dessert that I have not tried before. Homemade cottage cheese balls in sweetened milk with nuts. A comfort food I suppose, but paled in comparison to the kulfi. 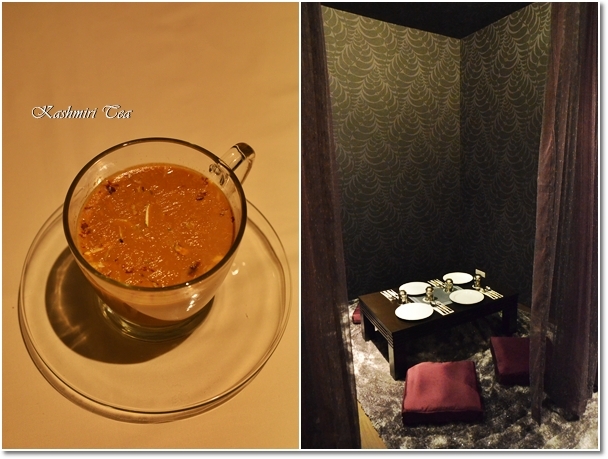 Capping off the meal with a warming cup of Kashmiri tea (RM6.90/USD2.30) & the Japanese-inspired tatami seats in one corner for party of 4’s. “Classic with a Modern Twist” indeed. It’s a great relief and privilege to have a modern North Indian diner of this scale opening up in good old Ipoh. For years we learned to be contented with Pakeeza and Old Andersonian Cafeteria. Although those were excellent in their own rights, the small capacity and ambience were somewhat limiting factors. 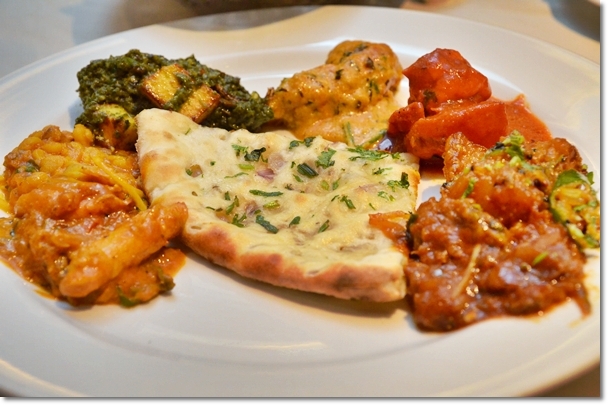 *Tandoor Grill serves pork-free cuisine. 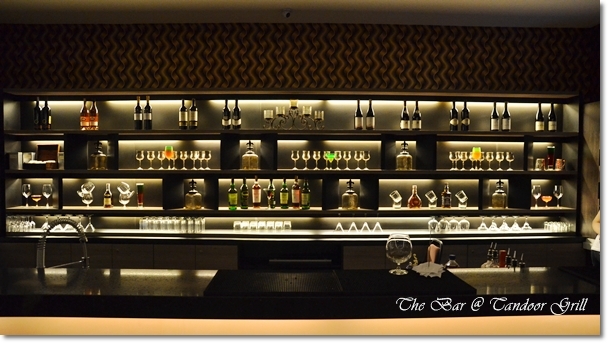 Alcohol is served in the premise. 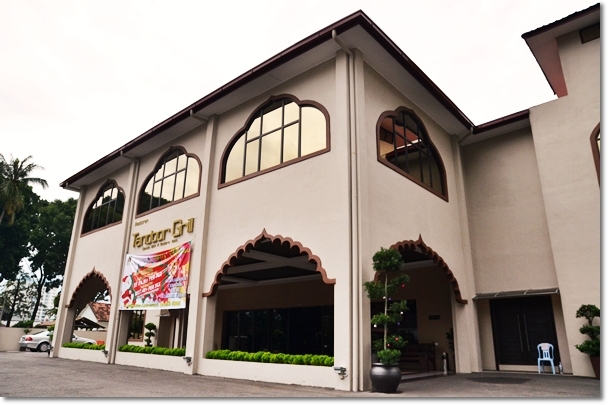 **Tandoor Grill is serving weekday buffet lunch promotion for RM23.90+ only! Business Hours : 11.30am – 3.00pm, 6.30pm – 11.00pm. 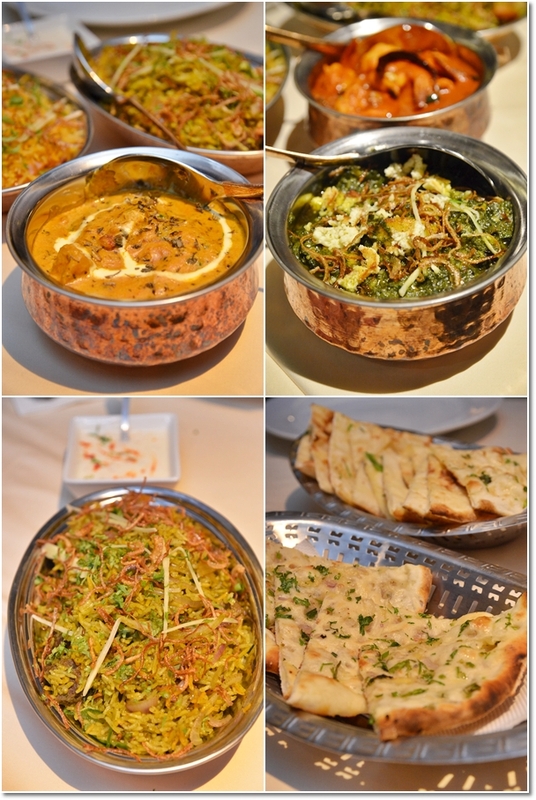 *This was an invited review extended by the owners of Tandoor Grill. No lah.. not halal. Pork free only. who said not halal?i see malay also eat there..fck u la..
How much to rent a room for 8 pax? One of the best north Indian food restaurant in Ipoh. Food are good but of course the price is slightly higher than other Indian restaurant but the quality and environment are justifiable for the higher price. Will go again. Its good to be able to have nice food at times and Tandoor Grill has definitely raised the levels of Indian cuisine in Ipoh. Yes we have many other restaurants but each one has its speciality. planning to celebrate my mom’s 60th birthday.can I have a dinner buffet for about 50 pax?do you have a menu I can select the food items from? its very Delicious food. i love chicken.